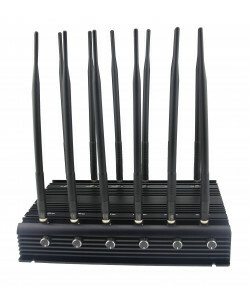 The following frequencies are the most popular ones. 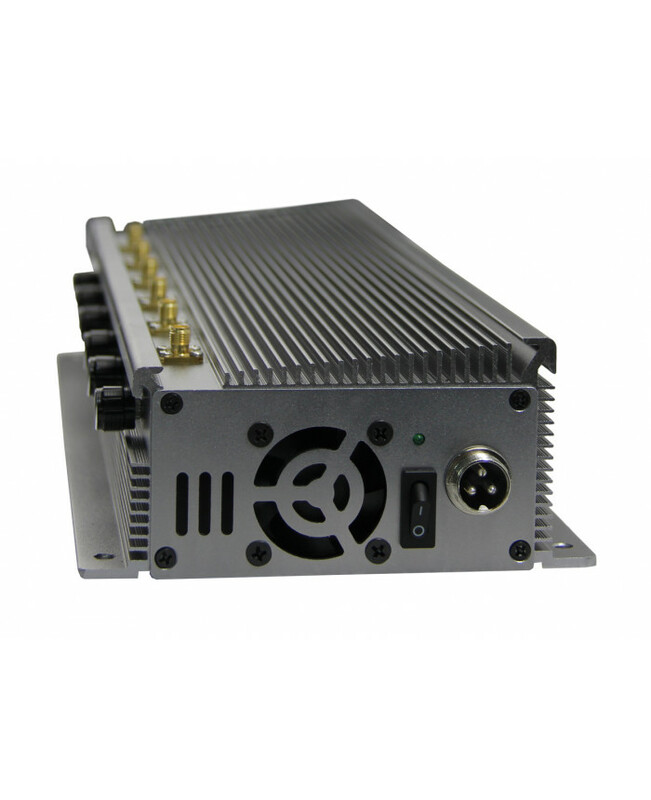 But should you require any other bands to be jammed please contact us and we will produce the fully bespoke jammer for you. 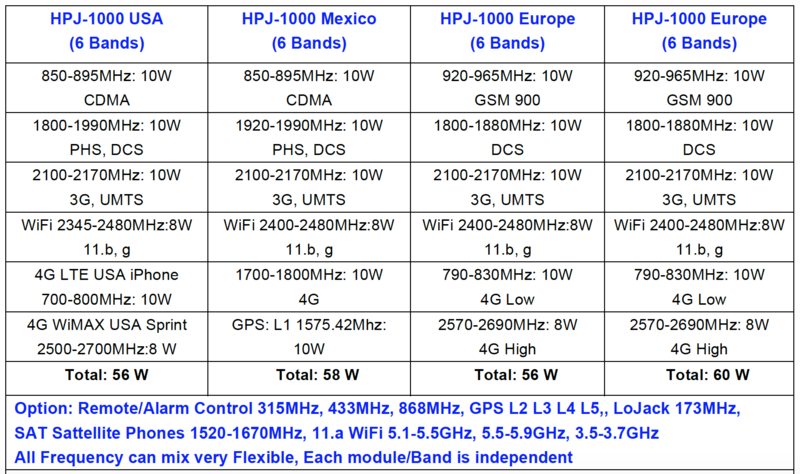 HPJ1000 is a kind of device different from the most products of this category. 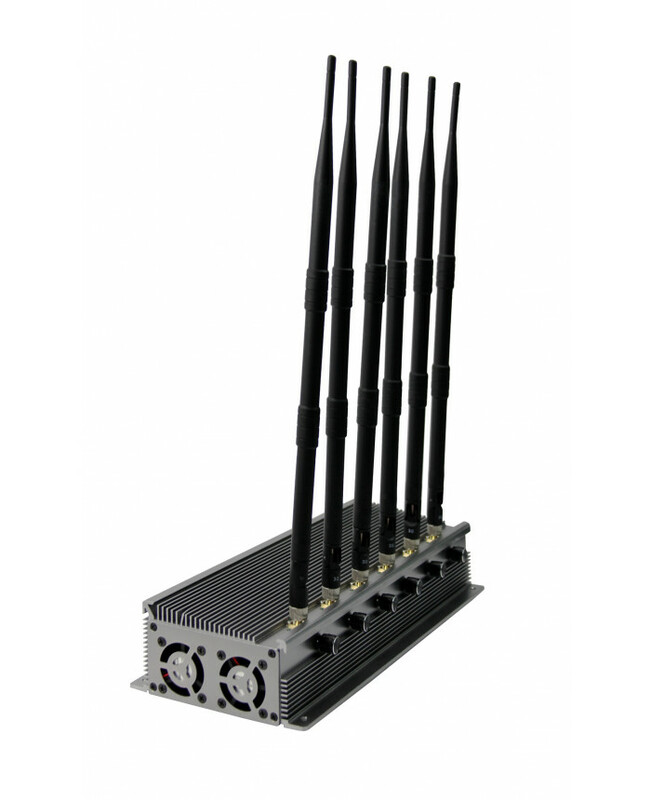 It is a bigger model that is developed to transmit very powerful output but not be used as handheld device. 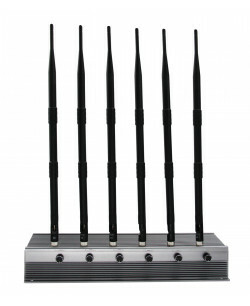 This desktop signal jammer can prevent all cell phone networks (GSM, CDMA, 3G, 4G Wimax, 4G LTE, WIFI, GPS etc.) 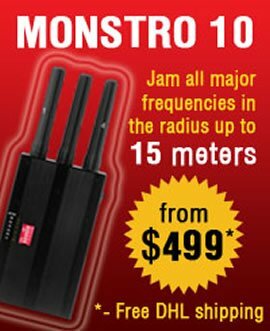 from working in the huge radius. 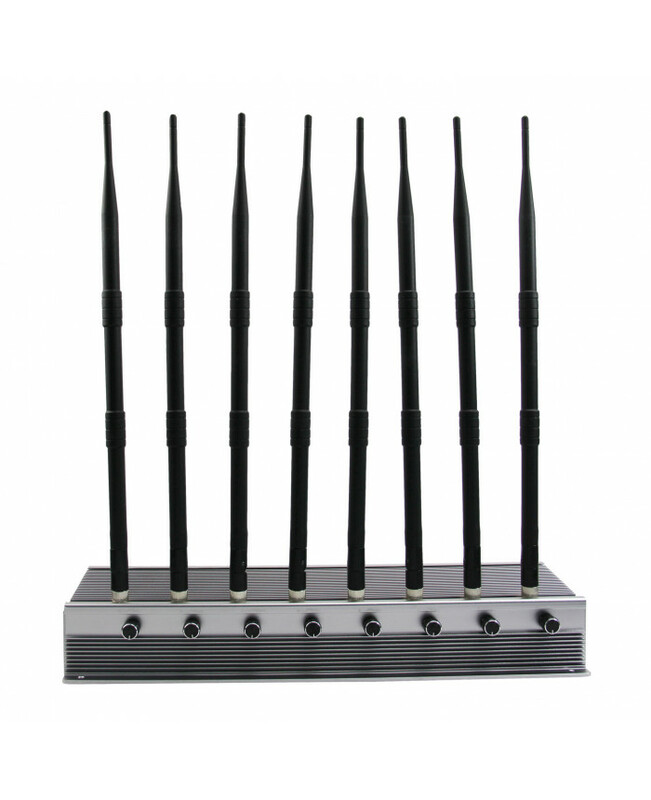 With such powerful output you can block almost all mobile phons to avoid any cell phone signals in the area between 20-60 meters. 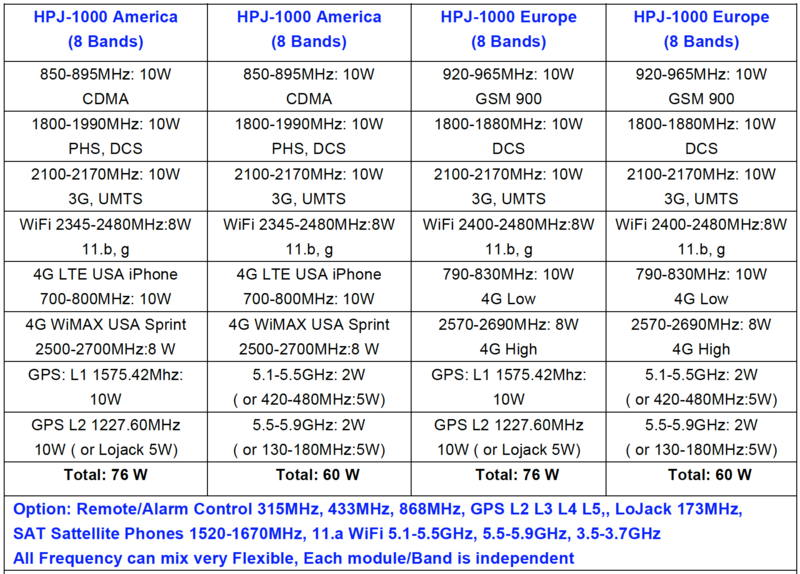 HPJ1000 is available with 6 or 8 bands (extra $150). 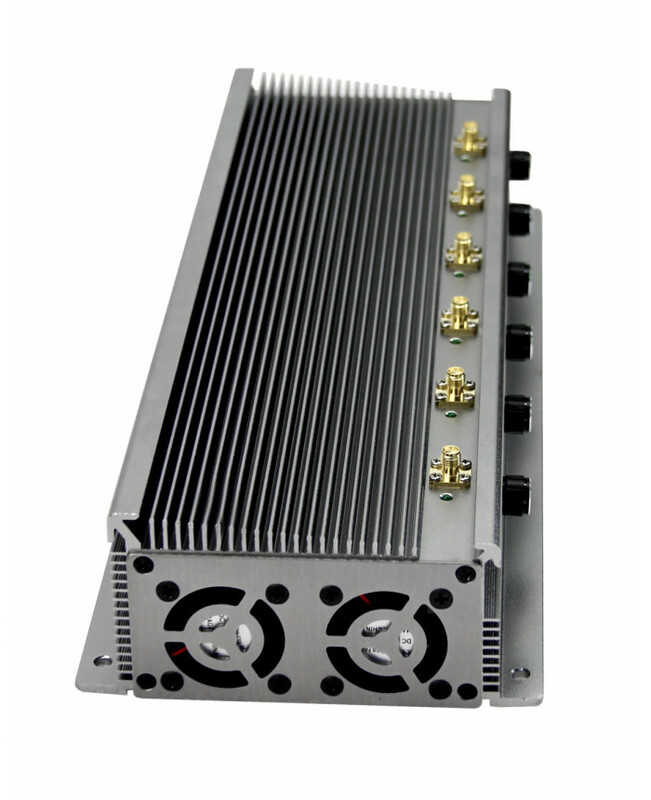 Please tell us more about your requirements and we will recommend the appropriate configuration for your needs. 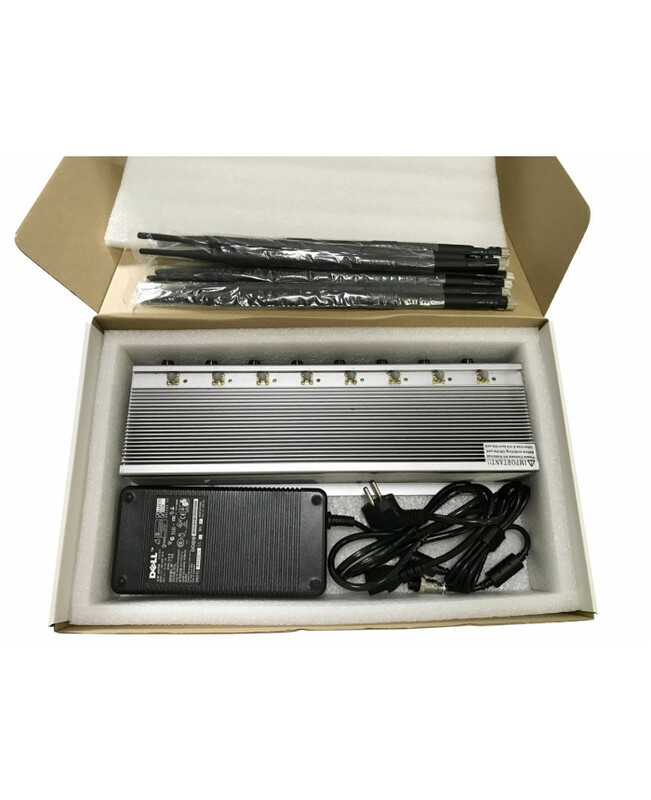 HPJ1000 is a signal blocker device that is meant to be installed at meeting room, conference area, museum, library, cinema or school. 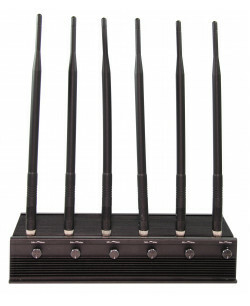 It also has a car adapter as its smaller analogues but when it works at your meeting room, the whole area is absolutely protected against eavesdropping technologies based on cell phone networks, any kinds of mobile phone tower triangulation or breaking into your smartphone to get your private data from it. 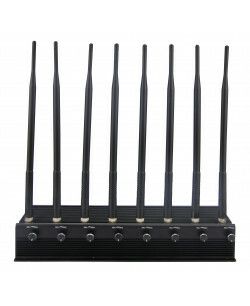 One of the greatest features of this GSM, 3G blocker is ability to use a remote control to operate the jammer. 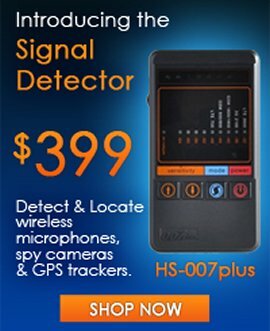 You will not find any other device with this specifications on the market. 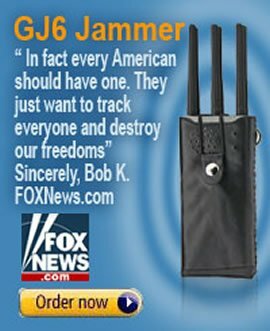 Very effective for meeting rooms, churches, schools etc. 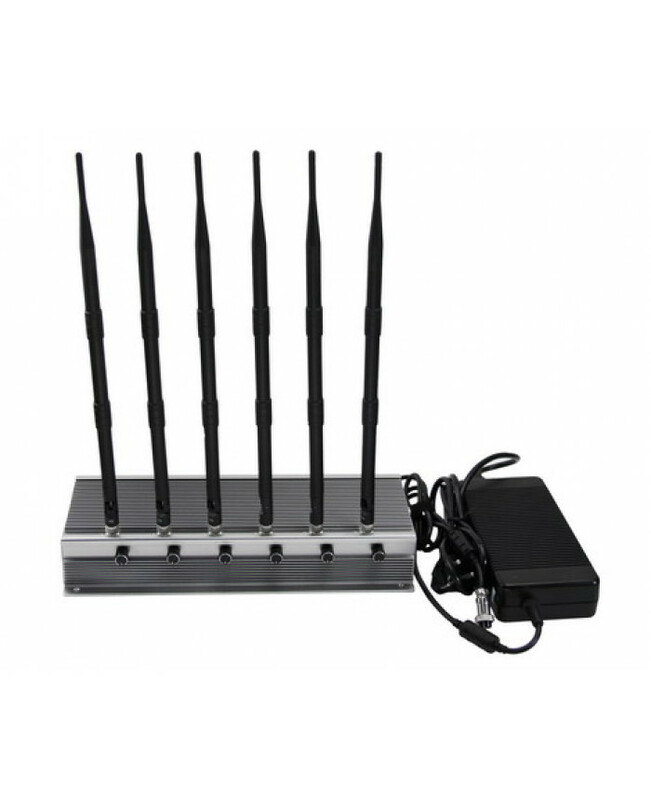 Works with all mobile bands (Samsung, iPhone etc) + WIFI, GPS and many other frequencies. 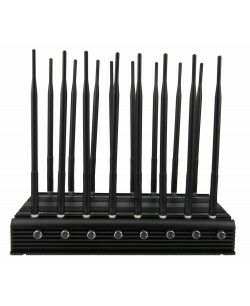 Frequencies Blocked: GSM850, GSM1900 (America), GSM900, GSM1800 (Europe), 3G (all), 4G (all), WIFI, GPS L1, L2, L3, L4, L5, Lojack etc. 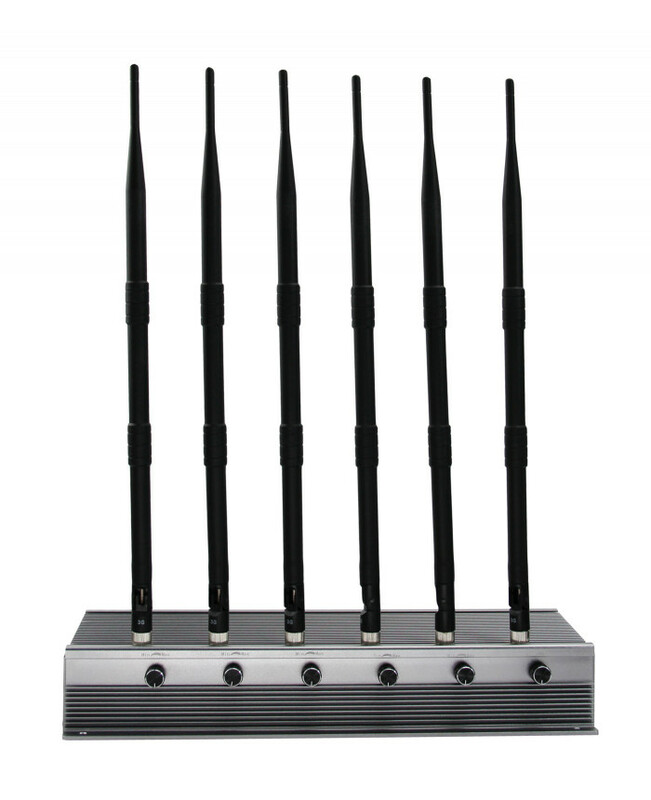 Each jammer can be configured to jam up to 6 frequencies at the same time. 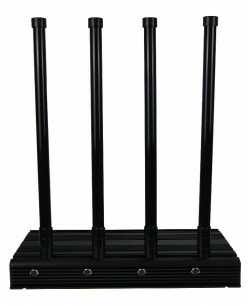 Write to us for a bespoke configuration. 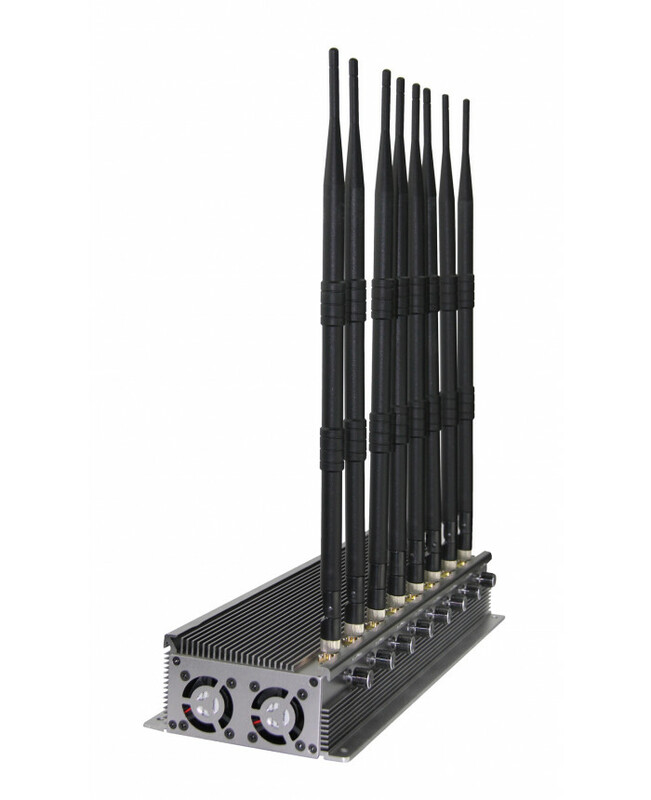 MG-40 desktop jammer has 8 antennas and each antenna is responsible for blocking a particular freque..
KBJ70 powerful desktop jammer is designed to work with wide range of frequency bands in huge 60 mete..
First jammer ever which can completely jam all frequencies in the 130-2700MHz range. Just have ..